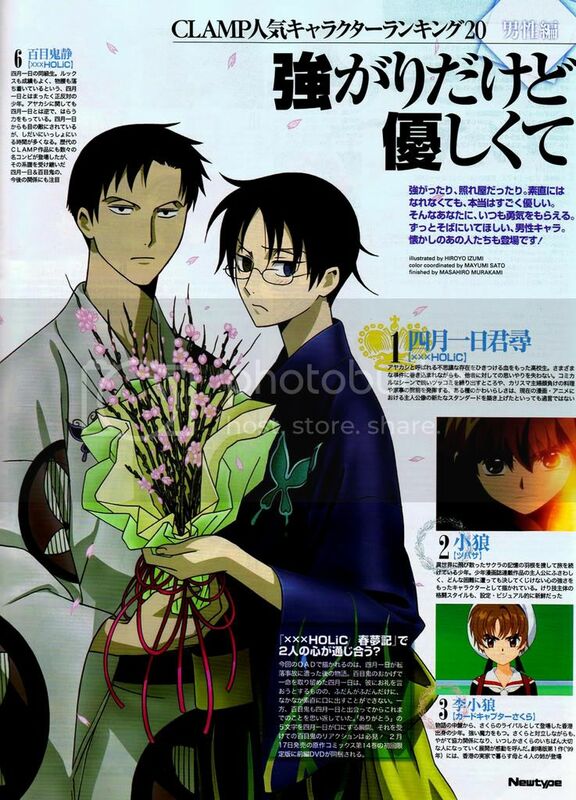 Here’s a preview from this month’s Newtype magazine, which carries a large feature about CLAMP’s 20th Anniversary. The magazine goes officially on sale tomorrow. Oh most definitely! Madhouse nails CLAMP’s works everytime. 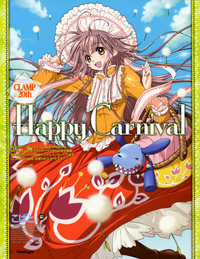 What a cute Kobato image! I agree ^^ Kobato. will be great! Indeed. Actually it was not actually “false” news; it’s just that they’re announcing that Haruhi will be broadcast in April. But in the magazine they don’t say if it’s a rerun or the new season! (Even though Kadokawa said it’s a rerun). They’re being ambiguous and it’s driving me mad XD There are even images which are based in the volumes which weren’t covered by the first season! Well I know it isn’t “false” news (hence the quotes), but it isn’t a proper announcement either. I’ll just believe in the next season when it airs! You should be happy xD they know something, obviously. This is just part of building up the expectation and increasing sales. LOL! Sakura’s dress looks so bleh! >Sakura’s dress looks so bleh! Aw, they both look so cute! But why oh why is Kobato’s hair a different color in every single image?!? You really think? I think it looks the same in the 3 anime pictures released so far O.o Maybe it’s slightly different because of scanning differences? 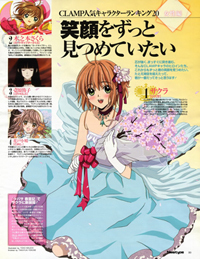 heehee~ I suppose that’s also just because Adult-CCS|Sakura hasn’t made her appearance YET. >I am actually a bit surprised because I would think CCS-Sakura is more popular than TRC-Sakura. >Though I wonder this popularity contest, how did NT determine them?? Was there like a voting thing for the fans?? I wonder that too… I guess there was some kind of form in previous issues? Both of them looks horrible… darn animators. ignore me, I’m just picky. (That’s why I read clamp) Kobato is the better of the two evils. I actually like Kobato. But Sakura is just meeeh. Many of you complain but I think both pictures are fine, not masterpieces but fine nonetheless. But Kobato’s too cute for words!!! Sakura-chan tbm tá lindaaa *O* Mas prefiro muuuito mais a Kobatoooooo! Sakura (TRC) is so cute! The most popular male character turned out to be…. Both Syaorans are 2nd and 3rd, Doumeki is 6th. DO u know where can i get in MALAYSIA???? OH GAWD M’SIA IS VERY SLOW LA!!!!!!!!!!!! !